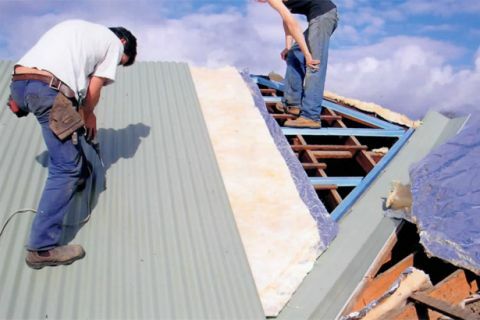 If you are looking for the very best roof repairs Burwood homes can get, then you have come to the right place. Want your home's roof in the same state as it was when you moved in? Our team of roofers will put years of experience to good use when maintaining and fixing your residential roof. No matter what material your roof is made of, we'll have it as good as new in absolutely no time. Whether you require a Colorbond metal repair, or you have tiles that all need replacing – we are able to offer you an expert service each and every time. Furthermore we are also able to carry out expert gutter replacement services. Poorly maintained gutters are one of the leading causes of damage that requires roof repairs and restoration in Burwood. Service and maintain your gutters correctly and you are sure to avoid a costly repair bill. Call us at (03) 9038 8110 for a truly competitive quote for some high-quality roofing in Burwood. We'll ensure that your roof has a solid and watertight construction, and it won't cost you a thing to get yourself a quote.